When Reuben Benjamin founded the Benjamin Electric Manufacturing Company in Chicago in the late 19th century, he probably never imagined that the RLM reflector dome shade he invented would still play an integral role in lighting beloved Wrigley Field more than 100 years later. Benjamin’s RLM lights greatly improved the industrial lighting of that time and served as the inspiration for many of our handcrafted fixtures. When the concourse area at the 104-year-old ballpark needed a lighting update, the designers turned to Barn Light Electric for a vintage-inspired, yet technologically advanced solution. “They wanted a fixture that kept with the history of Wrigley Field but with the latest in LED technology,” explains Shawn Best, engineering manager at Barn Light Electric. “When we started designing a fixture to meet their needs, we had to balance getting more light out of the fixtures while managing the thermal outputs and keeping with a vintage style.” The engineering team started with one of our most popular shade styles, the Sky Chief, and altered the design to accommodate a heat sink. “We got the idea to turn the neck of the shade into a heat sink,” Shawn notes. 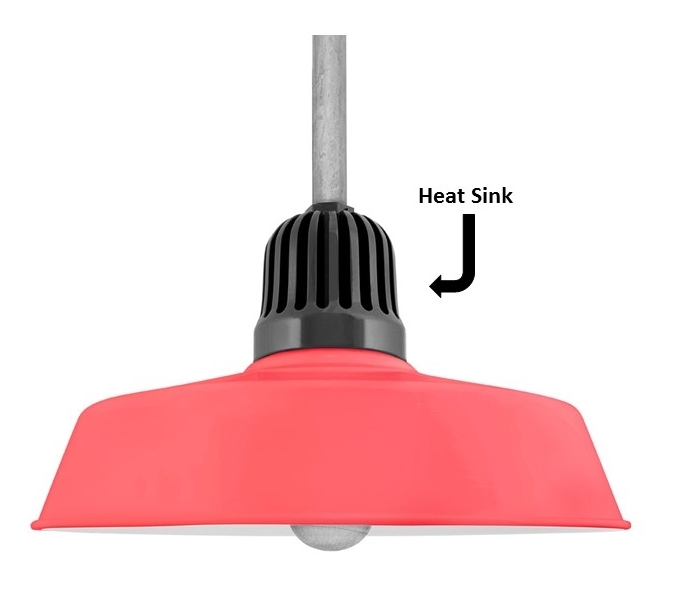 “Whenever you’re dealing with the increased wattages of high-lumen LED lights, heat is always an issue.” The new design features fins in the neck that connects the shade to the mounting. Wrigley’s design team and the Barn Light Electric engineers worked together for months on the details for the new Playoff LED Stem Mount Light and the Playoff LED 2-Light Stem Mount Pendant. The fixtures are located on the concourse where there is maximum foot traffic through the concessions area. Brilliant primary lighting was needed not only on the ground, but on the walls and on the signage. These handcrafted LED pendants deliver on all fronts. 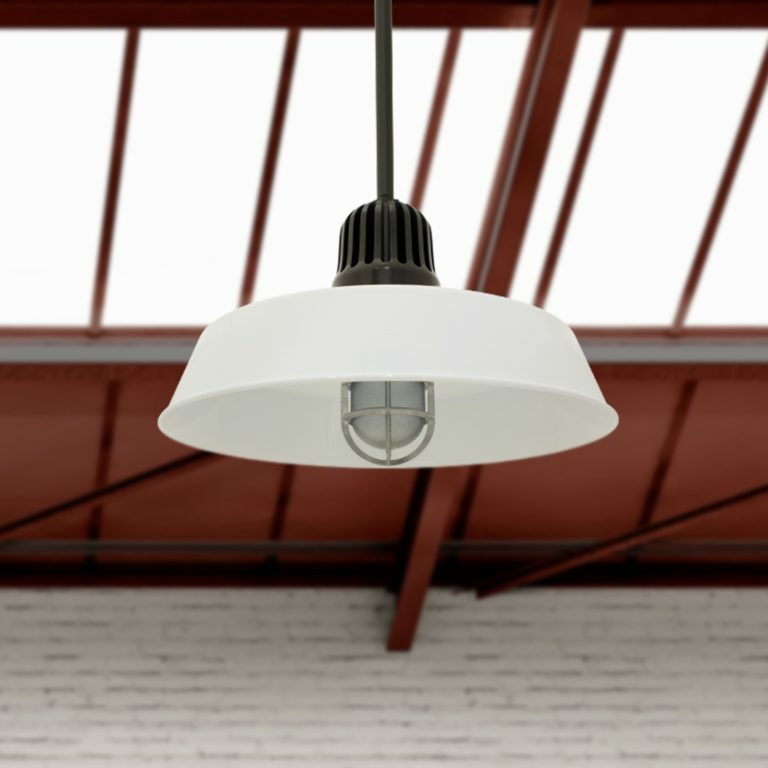 “Efficiency was critical for everyone, but we also wanted a style that complemented the Barn Light Electric brand as we knew the fixture would become a standard offering in our collection of LED lighting,” Jordan notes. 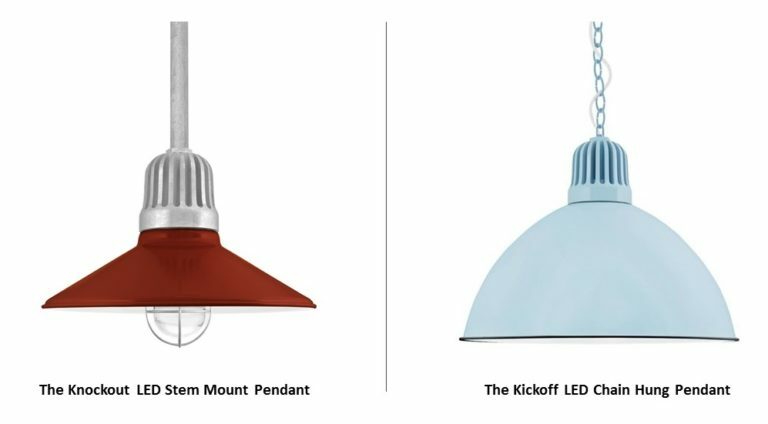 The Lineup LED Collection includes not only the Playoff pendants now installed at Wrigley but also four other popular shade styles including the deep bowl look of the Kickoff and Overtime and the more modern flair of the Knockout and the Goalie. All are offered in both powder coat and porcelain enamel finishes and can be mounted with a gooseneck arm, stem mount, chain, or cord-and-cable combination. These American-made LED lights are easy to customize to match any commercial style with more than two dozen finish colors to choose from. They can also be crafted from copper or brass for timeless appeal. The fixtures in this collection offer up to 4,900 lumens with five color temperature options and produce 61,000 hours of light. 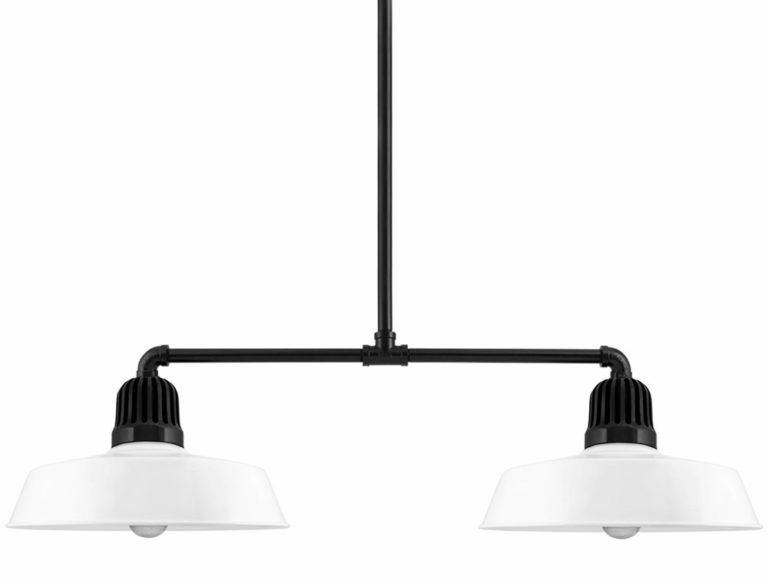 Handcrafted from commercial grade materials, these high-lumen lights brighten large offices, warehouses, sporting venues, and other commercial spaces with unparalleled efficiency.